The story of Nadab and Abihu, two priests in the Old Testament, is a sobering and somewhat confusing instance regarding God’s expectation from those who lead others into the presence of the Lord. Here’s what happened: The two sons of Aaron, the lead priest had been designated to offer spiritual sacrifices for the people of Israel, lead them into the prescribed ways of worship and represent the congregation before the living God. They had been anointed or set apart with a holy anointing oil that was to be made with special ingredients, could not be duplicated, and was not to be poured on man’s flesh or on someone who was an outsider, i.e. an unbeliever (Exodus 30:22-33). God took great care to make sure his chosen vessels were well equipped for the task he was giving them. It appears that either through carelessness, lack of knowledge (which probably isn’t possible as the Lord had given specific guidelines), familiarity with holy things or possibly drunkenness, (10:9) these brothers decided that any fire would do and used fire that came from another source, other than the altar. This resulted in literal fire coming from heaven and ending their lives. There are several implications here for 21st century worshippers and worship leaders. Let’s look at some of them. Worship is first a vertical communication of lifestyle between us and God and all worshippers have a responsibility to come to Him on His terms, not their own. 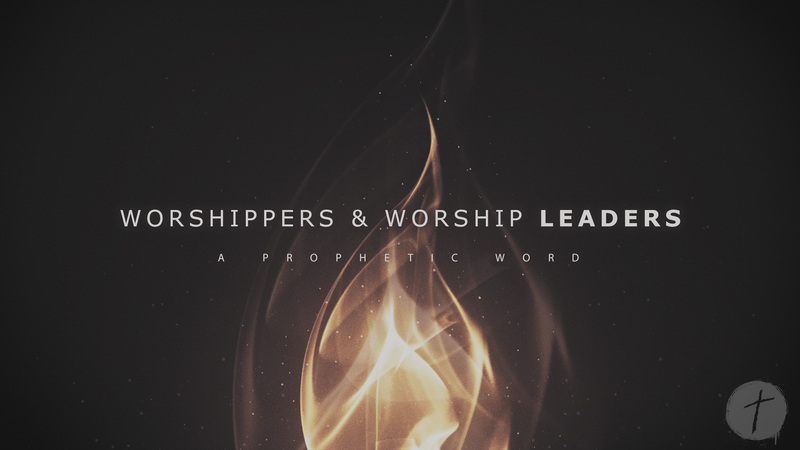 Even though God had established the pattern of worship, Nadab and Abihu created their own worship based on personal preferences, at the expense of the approval of the Lord. There are many different ways to worship but they forgot that going outside of biblical boundaries can cost you, your very life. So, what does this mean for us today? There are 12 times in the bible where fire falls from heaven; 6 were times of blessing and 6 were acts of judgment. (Lev 9:24; Judg 6:24; 13:20; 1 Chr 21:26; 2 Chr 7:2; and 1 Kgs 18:38 for the beneficial manifestations and Lev 10:1; Num 11:1; 16:35; Job 1:16; and 2 Kgs 1:10, 12 for the detrimental manifestations). Have we forgotten that fire is more than a created atmosphere in a room? Heaven’s fire is a direct manifestation of the power of God that always consumes everything it touches. Instead of using the original fire from heaven, they went to an outside source to light their incense burners which are types of our worship and intercession to the Lord. For them, any fire, lit by any hand, produced from any source, would do. Is it possible, we have confused our attempts at developing a worship atmosphere with lighting, sound, smoke machines and other technology, assuming the euphoric feelings we have are the presence of God, when they may be nothing more than an emotional response to a man-made environment? Can what was started in the Spirit now be made complete by the flesh (Gal. 3:3)? For the record, we have used all of these environmental enhancers at our church but the real evidence of the fire of God’s presence and whether or not God really shows up is genuine life change that is more than a one-time showing of a hand for salvation. As one person said, in the bible, God made his own smoke. If what we’ve had is real fire, how is it, that in our American church settings, our “atmospheres” have not resulted in a radical departure from sin but more indulgence in the works of the flesh? How is it that we continue to sing songs about the holiness of God and yet sexual immorality is on the increase among church millennials? How can worship teams do multiple services on a weekend then wind down in a bar, getting intoxicated after “ministering” ? How can we speak ill of other believers, church leaders or even employers and think that blessings and cursings out of the same mouth will be acceptable worship to the Lord? Is this not the modern-day version of offering strange fire that has no power for life transformation? Even though Old Testament liturgy need not be followed, our modern worship must duplicate a Holy pattern of purity and separation already established by God, if the divine fire of cleansing is to be evident. False Fire will not be able to sustain the shaking that is coming to America and those who cannot discern the difference will be carried out and silenced by the Lord. The potential shouting of voices in opposition to this word is in striking contrast to Aaron’s silence (v.3). His blood born sons are no more. Those that he labored with in ministry have now been removed. Why can Aaron not speak? There was nothing to say as he knew God’s actions were just and could not be argued with. Another shaking is coming soon. “The words “once more” indicate the removing of what can be shaken—that is, created things—so that what cannot be shaken may remain (Hebrews 12:24).” God is going to expose the inner workings of ministries who are more concerned with the Sunday production at the expense of purity and those who will not distinguish between the holy and the common ( Lev 10:10). As Spiritual leaders standing before the body of Christ, we have a heightened responsibility to live lives that exemplify the holiness of the Lord and call people to a higher level of intimacy with Jesus. What Should Be Our Response to all of this? Keep in mind the law required if blood of the sin offering was sprinkled inside the holy place, the sacrifice was burned outside the camp, representing Jesus who would be crucified outside the city. If the blood was spread on the altar, the priests were entitled to eat the meat. This animal was still on the altar, burned up, yet they had not eaten. Because of the importance placed on the blood of the sacrifice, (that would later point to Jesus) the rituals that had been established by God appear to have been violated by Aaron and his other two sons, yet they are not punished. This brings up the perfect illustration that worship is not about outward form but a matter of the heart. When asked about this apparent violation, Aaron responds and says his heart is not in this today because of what happened, so he doesn’t want to appear to be something he is not (v.19). The difference between Aaron’s response and his two dead sons, was that Aaron’s actions were not blatant disobedience. This is where God extends true grace. Not to keep on sinning so grace can abound as Paul warns about (Romans 6:1), but to be honest with God so grace can be applied. God’s grace will always be available, not to those who are flippant about holy things but to those who in sincere and repentant hearts, walk softly before the Lord, only desiring to please him. The worship of Jesus requires no less and we are going to see this kind of true worship that will bring the real fire of God to radically impact our culture and display the glory of God to all creation. J. Calvin, Commentaries on the Last Books of Moses (Grand Rapids: Baker, 1979), 2:431. Scriptures-Holy Bible. New Living Translation copyright© 1996, 2004, 2007, 2013 by Tyndale House Foundation. Used by permission of Tyndale House Publishers Inc., Carol Stream, Illinois 60188. All rights reserved.